Tracksounds: Composer Winifred Phillips Scores SimAnimals! 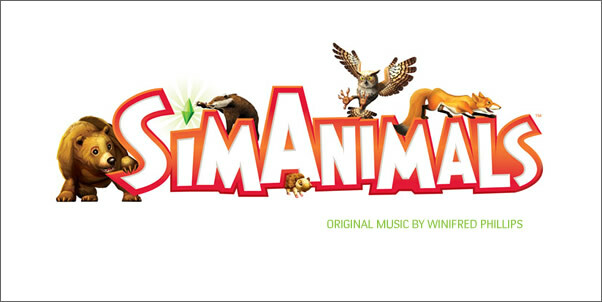 Composer Winifred Phillips Scores SimAnimals! REDWOOD CITY, Calif.--(BUSINESS WIRE)--Electronic Arts Inc. (NASDAQ:ERTS) today announced that award-winning composer Winifred Phillips will score the theme music for the newest IP in The Sims™ family, SimAnimals™. Winner of four Game Audio Network Guild Awards, Phillips has been repeatedly recognized for her contributions to videogames, TV and radio. Most recently she was nominated for a Hollywood Music Award for her work on Speed Racer: The Videogame. Now, her talents will be used to make the forest come alive in SimAnimals! In SimAnimals, you can venture into the wild world of animals like never before. You have the power to reach out and touch, pick up and move everything in the forest from squirrels and foxes to trees and flowers. As you journey deeper and deeper into the forest, you can feed a bear what he craves, pick up a rabbit or a hedgehog and bring him to his friends or water your favorite tree and watch it grow. Throughout your voyage you will make new animal friends and discover what other creatures lurk in the wild. In SimAnimals, you have the ability to engage wild animals, experience life in the forest and run the wild! Your journey through the forest is comprised of many small musical moments that combine as the soundtrack. Each location starts off with a unique score, from strains of Celtic music for ancient castle ruins to the funky groove of the old junkyard. Small melodies of solo orchestra instruments underscore the big events of the animals’ lives and fully orchestrated moments define the player’s choices in the world. The music is designed to ground the complexities of the animal’s life in the human scale of emotions. As the fortunes of the world reflect the player’s interactions and creative, fun and mischievous choices, the music gives voice to a forest rejoicing or suffering. When the individual animals are in distress due to neglect, the music calls out, and during moments of pure happiness, like the arrival of a new born, the music shares the tender warmth. Phillips is an American music composer for video games and radio as well as a published fantasy author. Working with music producer Winnie Waldron, Phillips has written music for the video games Shrek the Third, The Da Vinci Code, Charlie and the Chocolate Factory and God of War. Her work on the God of War video game received an Interactive Achievement Award in the category of “Outstanding Achievement in Original Music Composition” from the Academy of Interactive Arts and Sciences. For more information about SimAnimals, please go to www.SimAnimals.com. For assets related to this story, please go to www.info.ea.com. The Sims franchise celebrates an impressive over 100 million units sold since its launch in February 2000. Now translated into 22 different languages in 60 different countries, The Sims has quickly become a universal gaming and cultural phenomenon. For the latest information about The Sims and to check out the hottest creations for The Sims 2 made by our community members, please visit www.thesims2.com. To stay up-to-date on The Sims 3 news and information, check out www.thesims3.com. EA, EA SPORTS, EA SPORTS Freestyle, POGO, The Sims and SimAnimals are trademarks or registered trademarks of Electronic Arts Inc. in the U.S. and/or other countries. All other trademarks are the property of their respective owners.